As a technical show piece I don’t know that I’ve seen a better looking game on either next generation console. 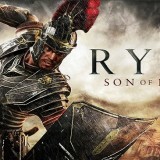 It’s just a shame that Ryse: Son of Rome didn’t have substance or brains to back it up. As a launch title you could do far worse. Ryse: Son of Rome manages to pick a mostly underused era for its setting. In the world of videogames this is a pretty neat trick as most periods of history and the fantastical have been explored many times over. Crytek’s take on the plight of Rome during its heyday follows the life of one seemingly ordinary Legionnaire Marius Titus. As Marius is breaking the news to his senator father that he has been accepted into the Roman army a horde of barbarians sweep through their villa massacring his family.. Marius sets out to avenge his family’s murder and deal with Romes barbarian issues once and for all. 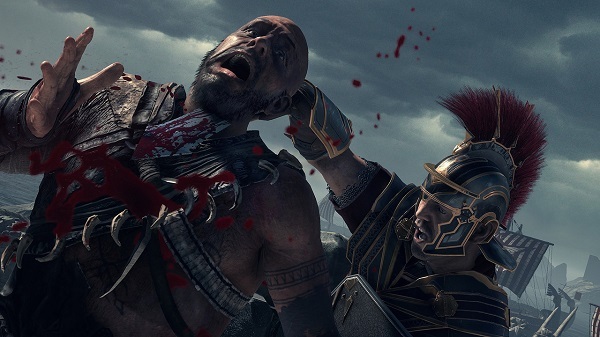 OK, so Ryse: Son of Rome’s story is flimsy to say the least. It’s a moderately engaging revenge tail that is one part God of War homage and one part straight to TV movie. The thing that compels you into the world though are the always gorgeous and sometimes breathtaking visuals on display. If you want a showpiece to demonstrate why you’ve just spent £430 on a new console then Ryse: Son of Rome is just that title. Using the CryEngine 3 to great effect it’s hard not to be impressed and dazzled by what is on screen. Tons of gorgeous lighting, hefty character models, deep and rich environments and enough lens flare to satisfy JJ Abrams. Even small details like how different parts of a flag will wave at different speeds according to how the in-game “wind” is hitting it. Simply stunning and a great use of a very rich era. What the pretty lights and shiny surfaces hide though is a somewhat mediocre game that ends up feeling shallow. You make your way through multiple areas throughout the games 4 or 5 hours of play. Combat is interesting at first but you soon learn that parry, hit then execute will see you through every encounter… even the boss battles to some extent. That’s not to say it’s not incredibly satisfying to pull of the execution moves in the game. Simply cause enough damage to a foe, wait for the icon to appear and then hit the button to activate an execution. Then just match the colour sequence with button presses and a truly grizzly death scene will play out. You slowly make your way through each chapter slaughtering literally hundreds of enemies as you go. After a few chapters this starts to feel a little stale and monotonous and perhaps if Ryse: Son of Rome had not been a launch title I’d have dismissed it there and then. Thankfully for Ryse it gets the benefit of not only being a stunning game but also gets cut some slack for being a launch title on a new platform (even though it did start development on 360). As such the game more than kept my attention and, despite the rinse/repeat nature of the combat and gameplay I found the entire experience to be more than enjoyable – if shallow. Crytek have tried to add some changes to the game by introducing small sections where you can choose where you men are positioned in a fight or whether archers cover you or your men. These choices are mainly superficial but break things up a little. As do the sections where your Legion form up placing their shields in front or over their heads. You control the entire Legion here and decide when to throw spears at the enemies or skulk back under the shields to avoid flaming arrows. All fairly shallow affairs but amusing nonetheless. Multiplayer offers some challenges in specially designed scenes inside the Colosseum in Rome. Here you re-enact famous battles or fables from the era either solo or in multiplayer sessions. There’s a semblances of an upgrade system and some rankings but mostly it’s an excuse to tool about with friends in the arena. Like the single player though this is a shallow affair and the virtues of the multiplayer will soon dwindle. 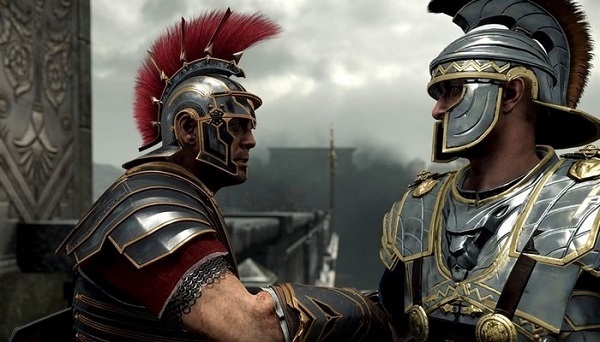 Ryse: Son of Rome does, apart from shallow combat and story, have a couple of issues. 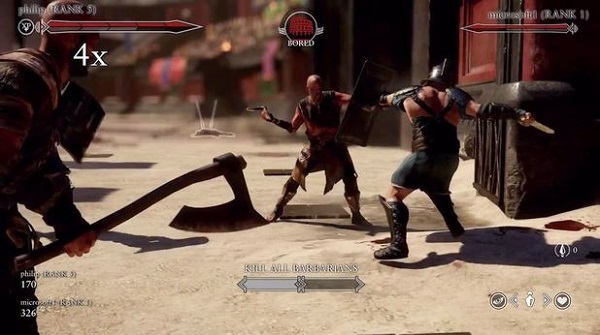 Firstly it can be clear at times that Ryse was to be an on rails like brawler for Kinect on Xbox 360. Narrow corridors open in to large brawling areas for scripted fights. It feels a little contrived and clunky. Secondly, and one that almost renders the game unplayable for me, was Ryse’s use of colour prompts. Being colourblind trying to distinguish the Yellow and Green prompts was almost impossible. I eventually overcame this issue during combat and executions because I could second guess the moves playing out – for instance if someone was about to hit me I knew yellow, the block button, was going to be used. The real problem came in sections that required split second use of this system. For instance a section has you travelling through a forest area and traps spring up. To get past them you need to hit the matching colour button as what the trap is flashing. More often than not I could not tell and ended up dying instantly. This made a 10 minute part of the game last about an hour for me and left me incredibly frustrated. Similar things happen towards the end of the game as well. For want of a button prompt the game could be unplayable for those with worse colourblindness issues than me. Even a toggle to turn on the button prompts would have been a start here. Ryse: Son of Rome is, despite the niggles, an enjoyable game. It’s pretty, dumb and shallow but MAN it’s so gorgeous you want to show all your buddies! As a technical showpiece I don’t know that I’ve seen a better looking game on either next generation console. 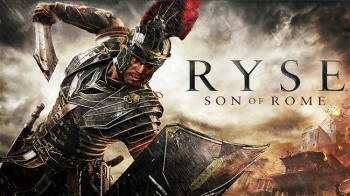 It’s just a shame that Ryse: Son of Rome didn’t have substance or brains to back it up. As a launch title you could do far worse.